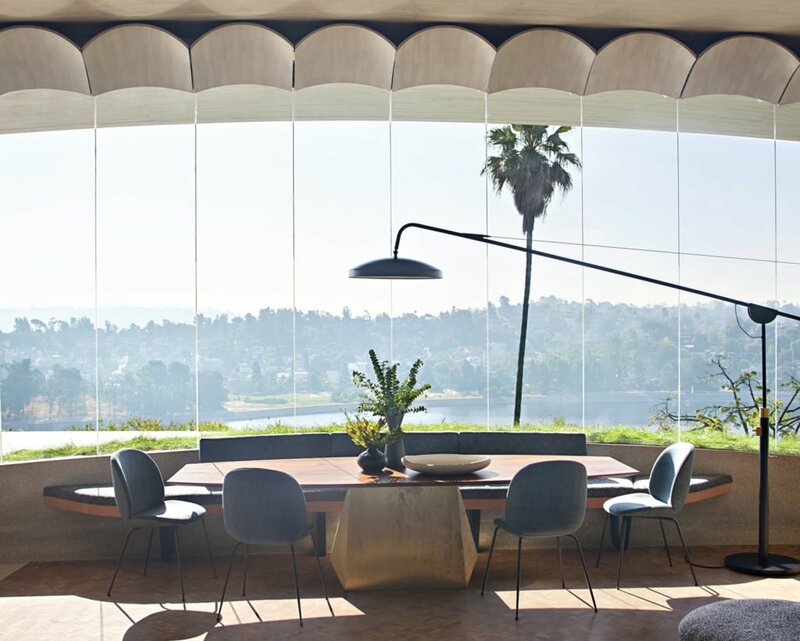 A few years back, the Reiner-Burchill residence, more commonly known as John Lautner’s Silvertop, made an appearance on the market for the first time in four decades. 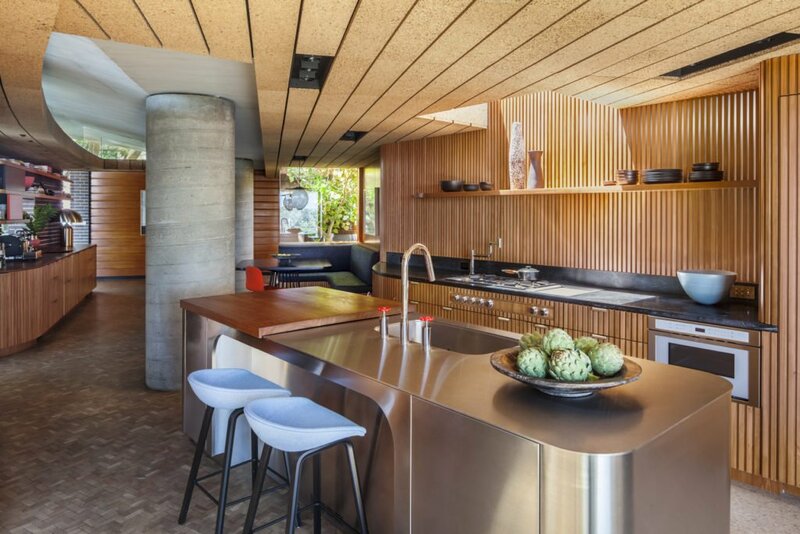 The noted John Lautner-designed home is a midcentury masterpiece, which recently experienced an extensive restoration, completed by Bestor Architecture over the course of three years. Commissioned in 1956, construction of the residence spanned from 1957 to 1976. 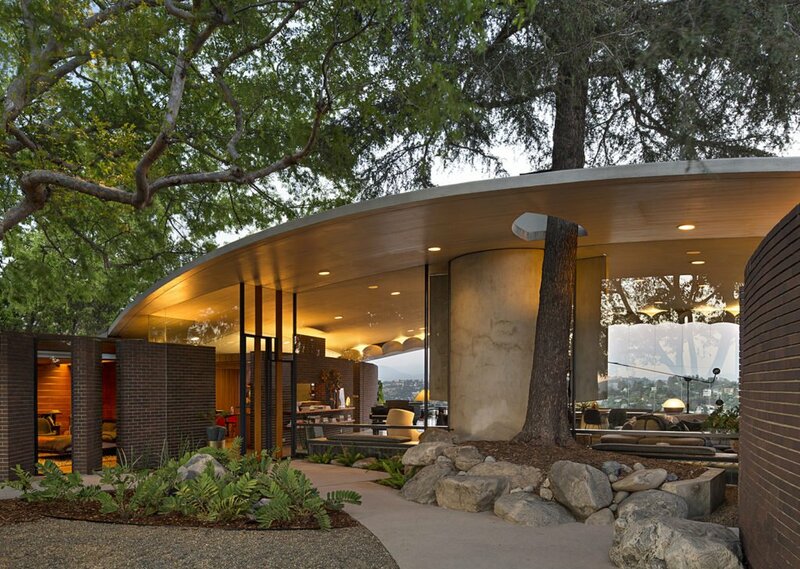 The craftsmanship, futurism and pure genius of John Lautner remains mind boggling. 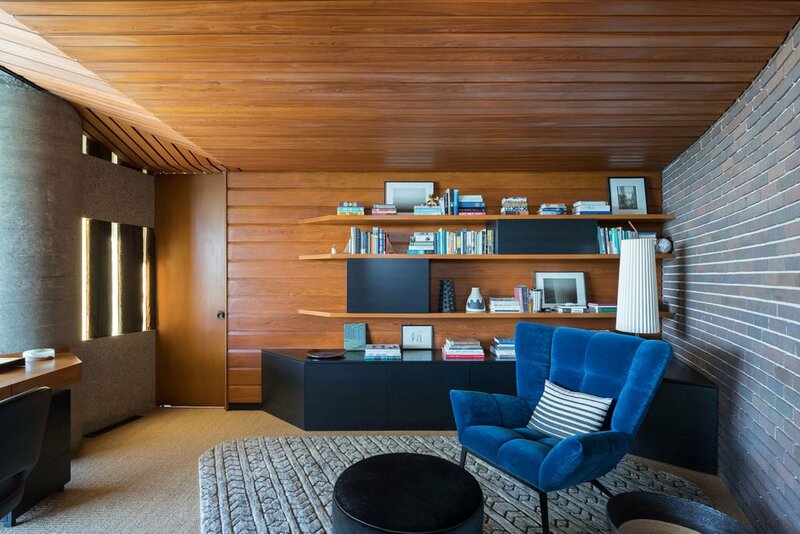 The residence rests on top of a hill in Silver Lakes Moreno Islands, a spot from which the house enjoys views of the many sides of Los Angeles. 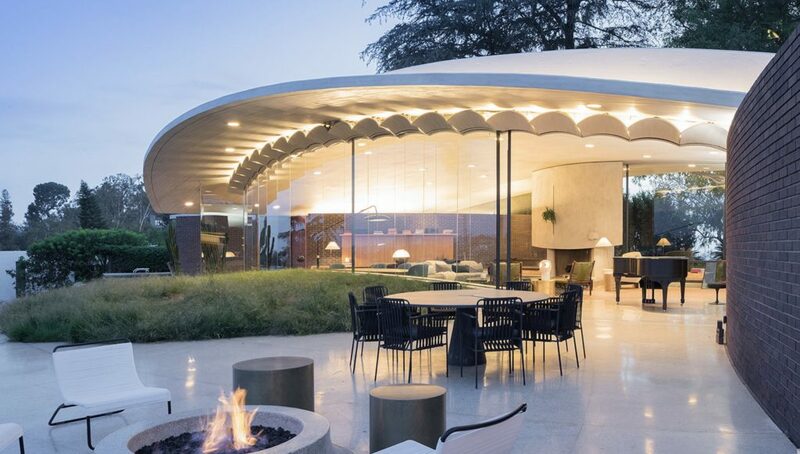 Silvertop was originally commissioned by inventor Kenneth Reiner; Lautner’s design was to break new architectural ground through the architects proficient technical and structural craftsmanship. 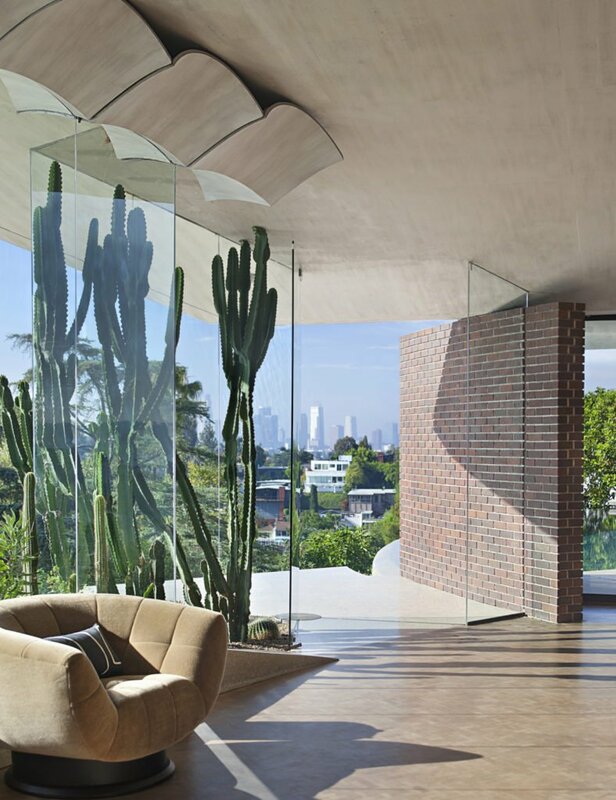 Curving walls trademark the home, they are found inside and out, from the open plan kitchen that curves into a dining area, to an entire wall of glass wrapping around the living and dining areas, creating a seamless indoor to outdoor connection. 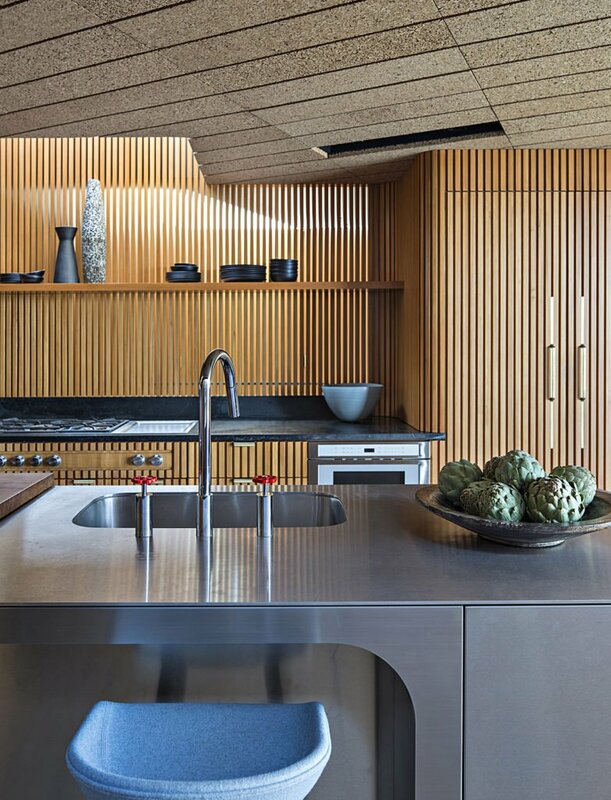 The kitchen cabinetry is cleverly camouflaged by using Cypress paneling, same material as some of the wall inside the space. 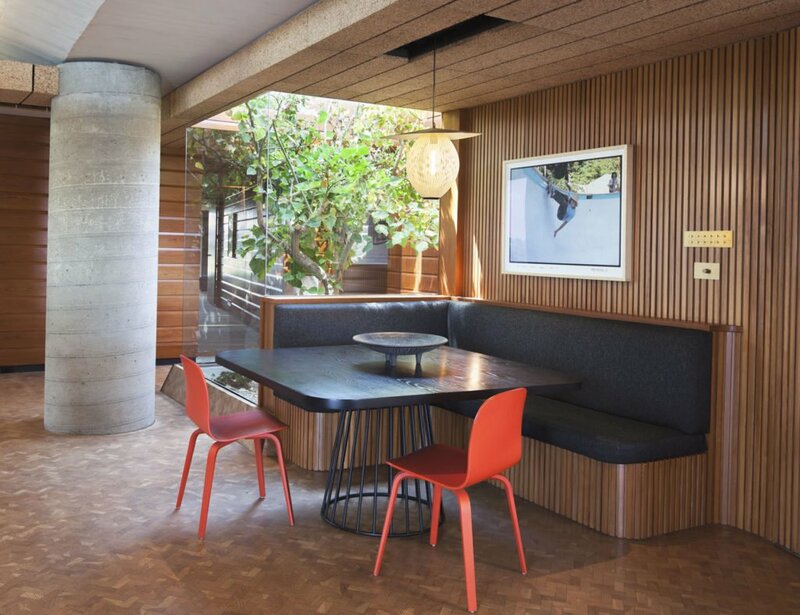 The kitchen was slightly altered during the 1970s, however, Bestor Architecture returned the design more to its original character in addition to touching up the dining area. The home’s cantilevered pool, which has been said to be one of the world’s first infinity pools, is a noteworthy element to consider. The highest point of the residence, the pool administers a panoramic view of the stunning landscape. Multiple fireplaces have been placed around Silvertop, inside and out. 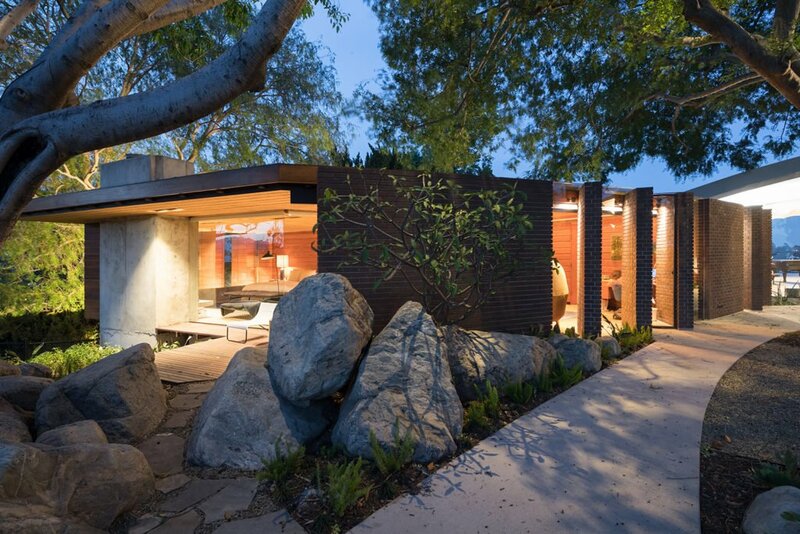 One can be found in the master bedroom, built into a fireplace that has a rock-like appearance of the outdoors. Thanks to the panels of the bedroom’s windows, the amount of light pouring into the space can be moderated. 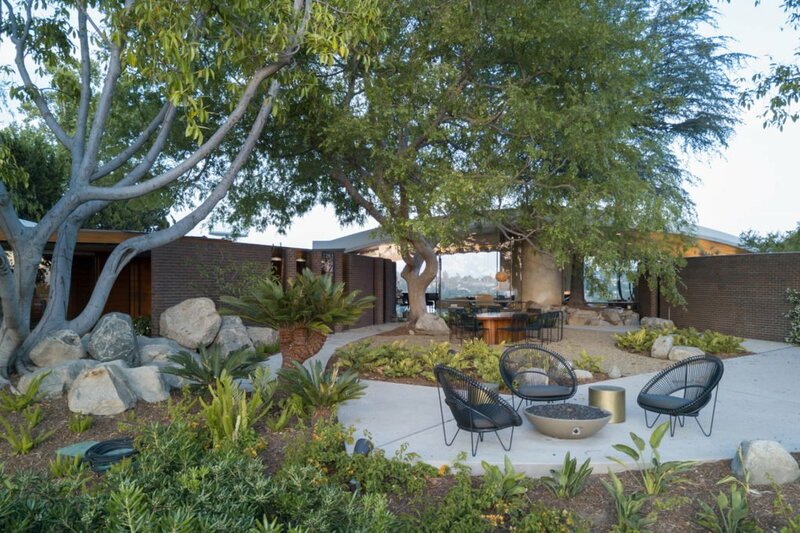 In addition to another fireplace in the living room, a fire pit decors the outdoor deck, where yet another space has been designed to kick back and enjoy the scenery from the comfort of this astonishing midcentury home design.